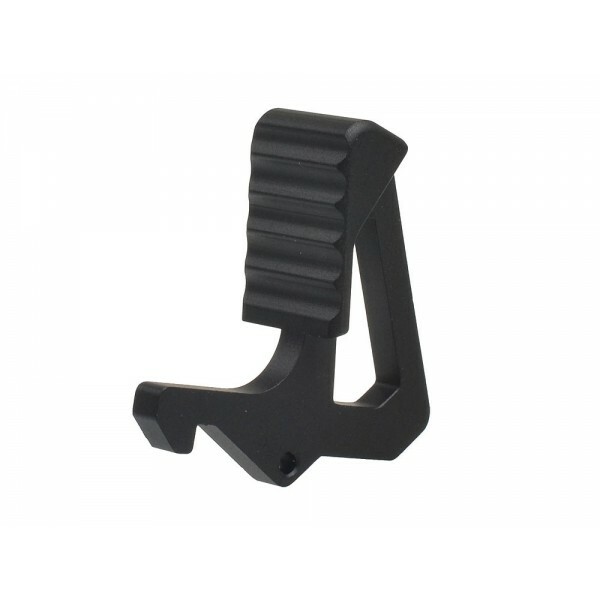 Strike Industries SI AR Charging Handle with SI AR Latch Extended Latch (ARCH-EL): T6-7075 Forged Hard-Anodized Aluminum Premium Charging Handle for Tactical AR-15/M4/M4A1 Carbine/SBR/PDW’s | DefenseReview.com (DR): An online tactical technology and military defense technology magazine with particular focus on the latest and greatest tactical firearms news (tactical gun news), tactical gear news and tactical shooting news. 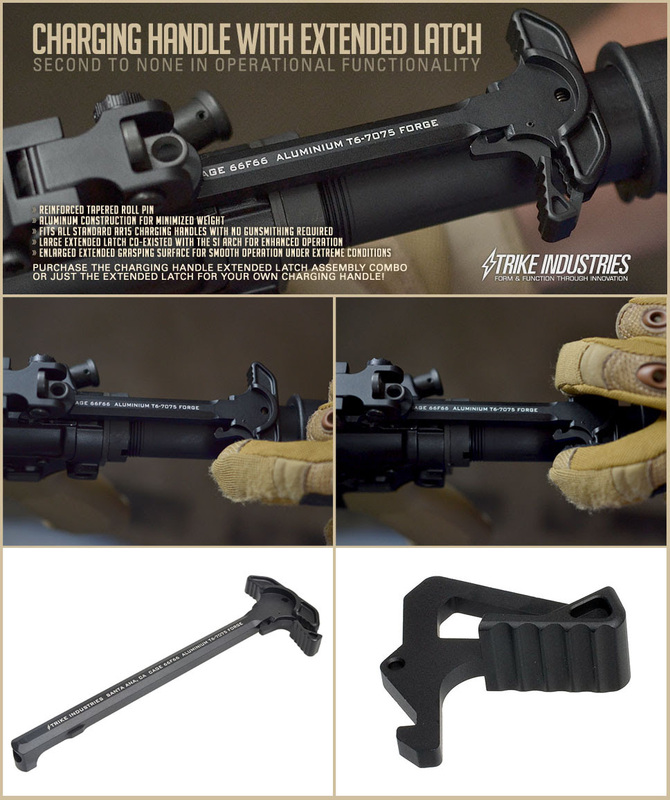 And, speaking of Strike Industries (SI) products, specifically tactical AR-15/M4/M4A1 Carbine/SBR (Short Barreled Rifle)/Sub-Carbine/PDW (Personal Defense Weapon) accessories, the SI AR Charging Handle with integrated SI AR Latch Extended Latch (ARCH-EL) is, at $29.95 USD, probably the best bang for the buck DefenseReview (DR) has ever seen in a premium standard, non-ambidextrous AR charging handle…ever. 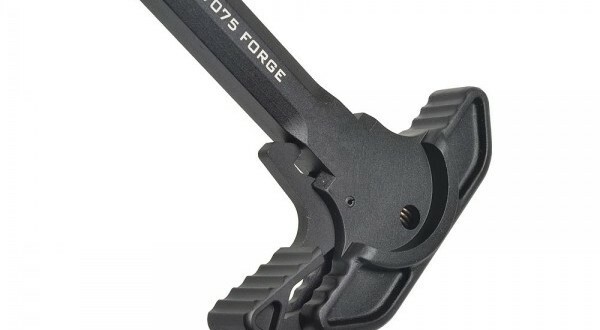 The SI ARCH-EL tactical AR charging handle is made from T6-7075 forged hard-anodized aluminum, which is as good as it gets, materials-wise, and its aesthetics are good, as well. 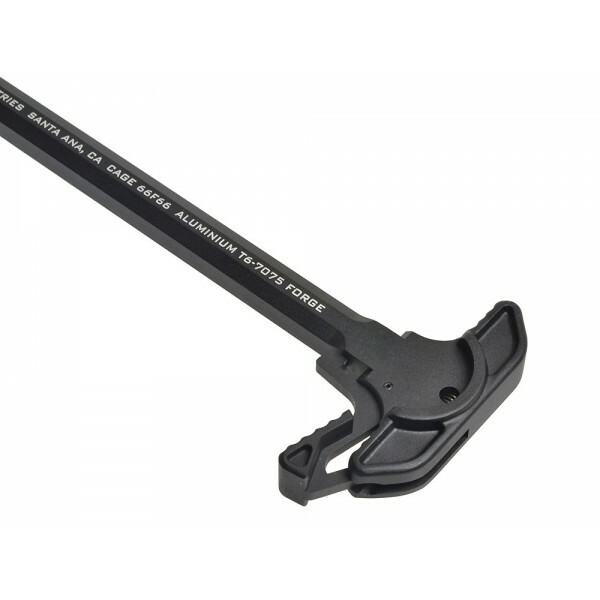 The SI ARCH-EL’s integrated SI AR Latch extended charging handle latch makes activation as sure, quick and easy as possible for a MILSPEC-type standard, single-sided (right-handed) charging handle, whether your shooting righty or lefty. 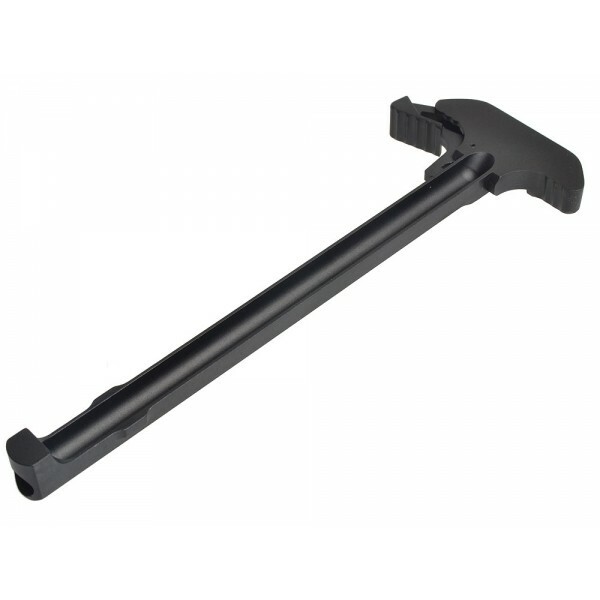 Sure, ambi-charging handles are nice, but they’re a luxury, and not necessary for fast shooting and weapon-handling. They’re also more expensive, and in most cases, MUCH more expensive, especially for a good one. 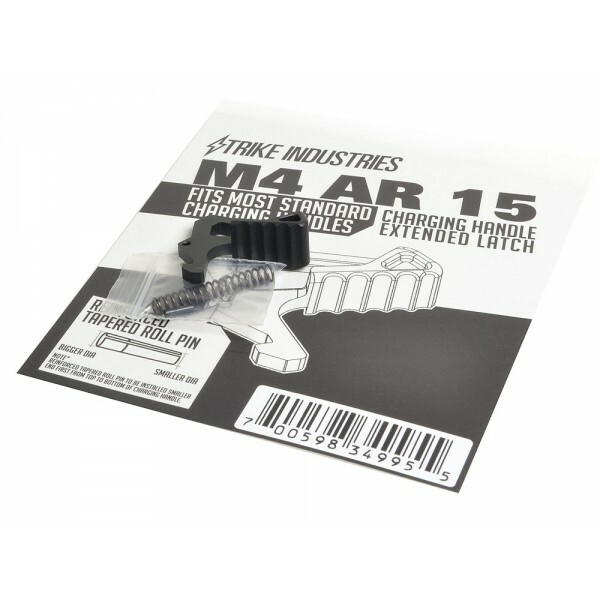 Hopefully, Strike Industries will remedy that soon and offer their own ambi-charging handle, soon. Until then, the SI ARCH-EL will do just fine for most people, and would appear to be impossible to beat at this price point. 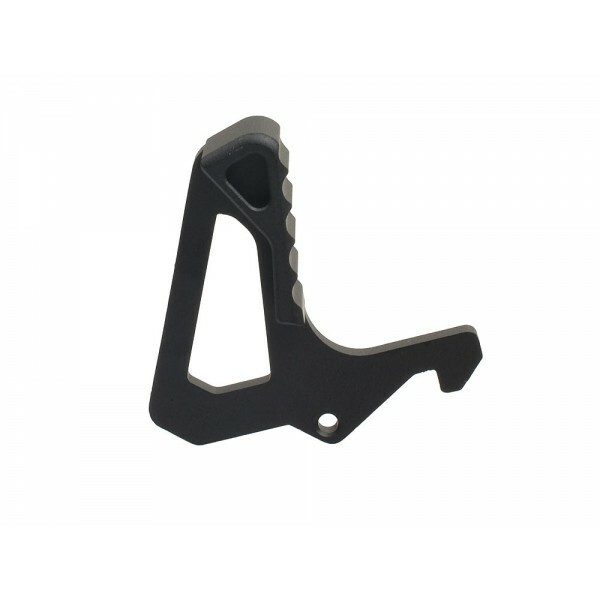 Anyone looking for a high-quality standard AR charging handle for their AR gun build should give the ARCH-EL a serious look. 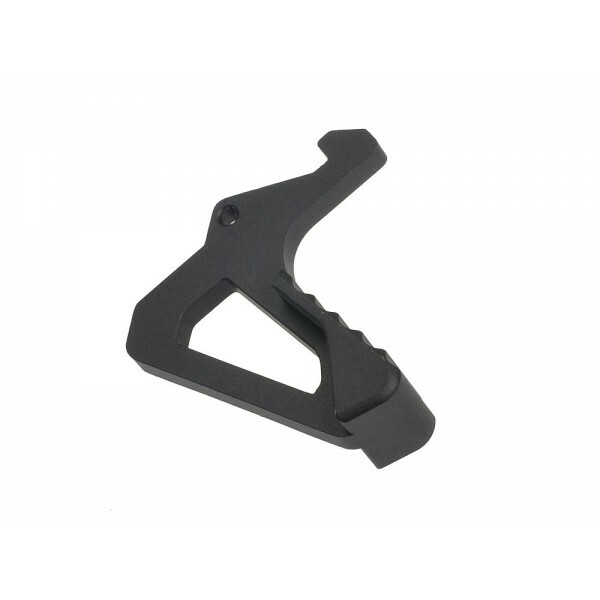 If you already have a Strike Industries SI ARCH (AR Charging Handle) without the extended latch, you can just purchase the SI AR Latch (AR Charging Handle Extended Latch) separately, and add it. 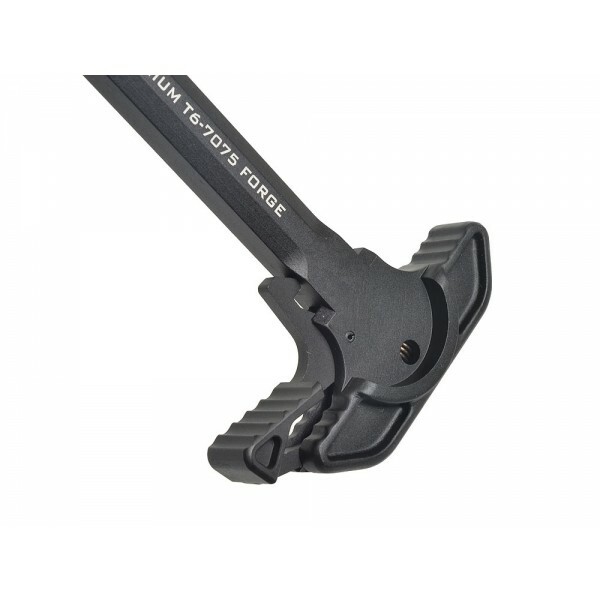 The new ARCH-EL Charging Handle from Strike Industries is a T-6 7075 forged hard anodized charging handle featuring a larger latch surface that functions with ease in adverse conditions. With its high polished surface, its ergonomic design makes for a smooth, clean charge. 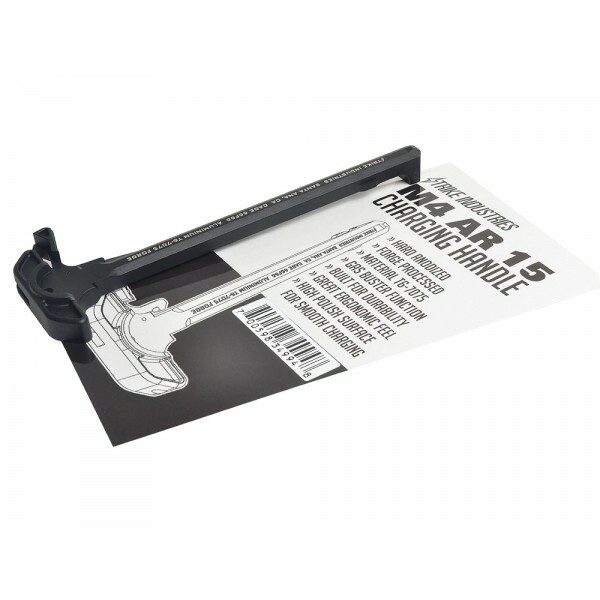 The quality of the ARCH-EL is second to none and it’s built for durability. 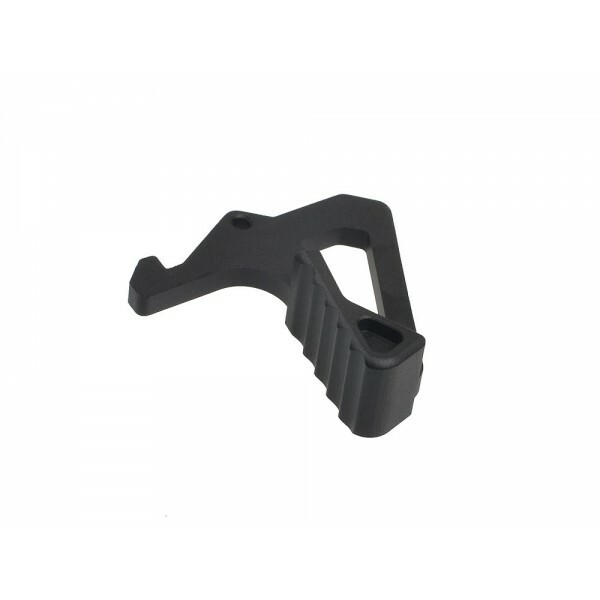 Its gas busting ability diverts harmful gases, oil and dirt away from the shooter. 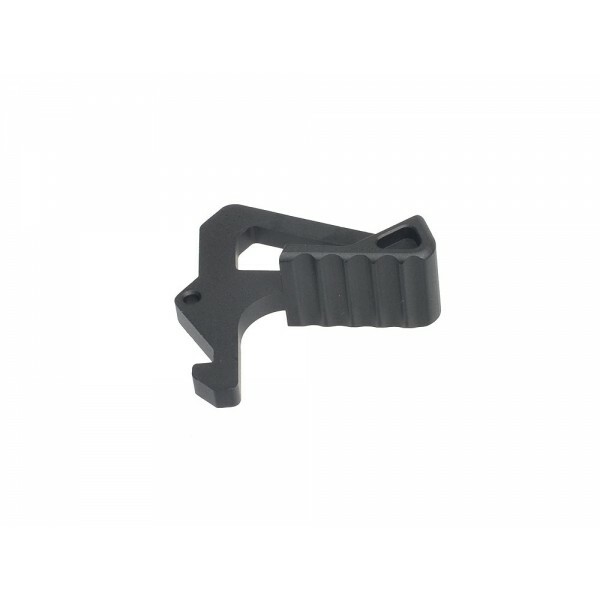 Once you place the ARCH-EL on your rifle, you will see, feel, and know the quality of the ARCH-EL!